Proportional-integral-derivative (PID) controllers are a classical control algorithm that are still widely used owing to their simplicity and accuracy. However, tuning the three parameters is difficult. No methods have been known to determine the exact ideal combination of the P, I, and D gains. Moreover, controlling a system that contains dynamics changes over time using fixed parameters is difficult. A self-tuning neuro-PID controller is applied to a balloon robot for indoor entertainment to enhance its accuracy in following a target trajectory. Our experiment shows the effectiveness of the neuro-PID controller over conventional hand-tuned PID controller. H. Nagata, S. Yokoyama, T. Yamashita, H. Iizuka, M. Yamamoto, K. Suzuki, and H. Kawamura, “Self-Tuning Neuro-PID Controller for Indoor Entertainment Balloon Robot,” J. Robot. Mechatron., Vol.30, No.3, pp. 390-396, 2018. T. Takaya, H. Kawamura, Y. Minagawa, M. Yamamoto, and A. Ohuchi, “PID landing orbit motion controller for an indoor blimp robot,” Artificial Life and Robotics, Vol.10, pp. 177-184, 2006. T. Takaya, H. Kawamura, Y. Minagawa, M. Yamamoto, and A. Ohuchi, “Learning landing control of an indoor blimp robot for self-energy recharging,” Artificial Life and Robotics, Vol.12, pp. 177-184, 2008. H. Kawamura, H. Kadota, M. Yamamoto, T. Takaya, and A. Ohuchi, “Motion Design for Indoor Blimp Robot with PID Controller,” J. Robot. Mechatron., Vol.17, pp. 500-508, 2005. H. Kadota, H. Kawamura, M. Yamamoto, T. Takaya, and A. Ohuchi, “Vision-based Control of Autonomous Flying Airship Robot,” Proc. of the 2003 Int. Technical Conf. on Circuit/Systems, Computers and Communications, pp. 628-631, 2003. H. Kadota, H. Kawamura, M. Yamamoto, T. Takaya, and A. Ohuchi, “Vision-based Positioning System for Indoor Blimp Robot,” Proc. of the 5th IFAC/EURON Symposium on Intelligent Autonomous Vehicles, 2004. H. Nagata, S. Walke, H. Iizuka, M. Yamamoto, K. Suzuki, and H. Kawamura, “Development of entertainment balloon robot system for an indoor event venue,” Artificial Life and Robotics, 2017. K. J. Åström and T. Hägglund, “The future of PID Control,” Control Engineering Practice, Vol.9, No.11, pp. 1163-1175, 2001. J. G. Ziegler and N. B. Nichols, “Optimum Settings of Automatic Controllers,” Trans. of the ASME, Vol.64, pp. 759-768, 1942. S. Omatu, M. Yoshioka, and T. Kosaka, “PID Control of Speed and Torque of Electric Vehicle,” 3rd Int. Conf. on Advanced Engineering Computing and Applications in Sciences, pp. 157-162, 2009. H. Shua and Y. Pi, “PID neural networks for time-delay systems,” Computers & Chemical Engineering, Vol.24, Nos.2-7, pp. 859-862, 2000. T. D. C. Thanh and K. K. Ahn, “Nonlinear PID control to improve the control performance of 2 axes pneumatic artificial muscle manipulator using neural network,” Mechatronics, Vol.16, No.9, pp. 577-587, 2006. A. Krizhevsky, I. Sutskever, and G. E. Hinton, “ImageNet Classification with Deep Convolutional Neural Networks,” Advances in Neural Information Processing Systems, Vol.25, pp. 1097-1105, 2012. G. Andreas, P. Lenz, and R. Urtasun, “Are we ready for autonomous driving? the kitti vision benchmark suite,” IEEE Conf. on Computer Vision and Pattern Recognition (CVPR), IEEE, pp. 3354-3361, 2012. D. Silver, A. Huang, C. J. Maddison, A. Guez, L. Sifre, G. van den Driessche, J. Schrittwieser, I. Antonoglou, V. Panneershelvam, M. Lanctot, S. Dieleman, D. Grewe, J. Nham, N. Kalchbrenner, I. Sutskever, T. Lillicrap, M. Leach, K. Kavukcuoglu, T. Graepel, and D. Hassabis, “Mastering the game of Go with deep neural networks and tree search,” Nature, Vol.529, No.7587, pp. 484-489, 2016. 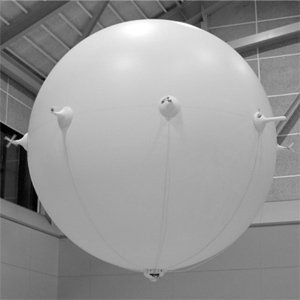 H. Nagata, S. Yokoyama, T. Yamashita, H. Iizuka, M. Yamamoto, K. Suzuki, and H. Kawamura, “Development of Real Time 3D Positioning System for Indoor Entertainment Ballon Robots,” Proc. of 2017 Int. Conf. on Indoor Positioning and Indoor Navigation, WIP_223, 2017. I. Barkana, “Simple Adaptive Control – A Stable Direct Model Reference Adaptive Control Methodology – Brief Survey,” IFAC Proc. Volumes, Vol.40, No.13, pp. 310-327, 2007. A. K. Khalaji and S. A. A. Moosavian, “Robust Adaptive Controller for a Tractor-Trailer Mobile Robot,” IEEE/ASME Trans. on Mechatronics, Vol.19, No.3, pp. 943-953, 2014. X. Wu, D. Xie, H. Zhou, and Z. Qiao, “Adaptive Controller for General Networked Manipulators with Uncertain Dynamics,” Italian J. of Pure and Applied Mathematics, No.36, pp. 293-306, 2016. H. Habibi, A. Y. Koma, and A. Sharifian, “Power and Velocity Control of Wind Turbines by Adaptive Fuzzy Controller during Full Load Operation,” Iranian J. of Fuzzy System, Vol.13, No.3, pp. 35-48, 2016.